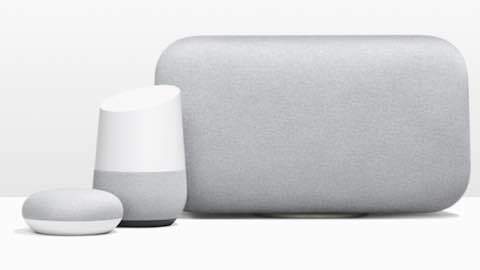 Having introduced the Google Home Mini and Max at its big hardware event recently, Google added two new competitors to the already rather crowded smart speaker landscape. Tech heavyweights such as Google, Amazon and Apple are looking to secure their place in the living room of the future, while smaller players such as Sonos aren't willing to give up their fair share of the home audio market. With Google's new products, the company looks set to compete with Amazon and Apple on both ends of the market. While the Google Home Mini and the regular Google Home compete with Amazon's Echo Dot and Echo for the entry and mid-level segment, the Google Home Max is aimed to go head to head with Apple's HomePod in its ambition to combine smart functionality with HiFi sound. 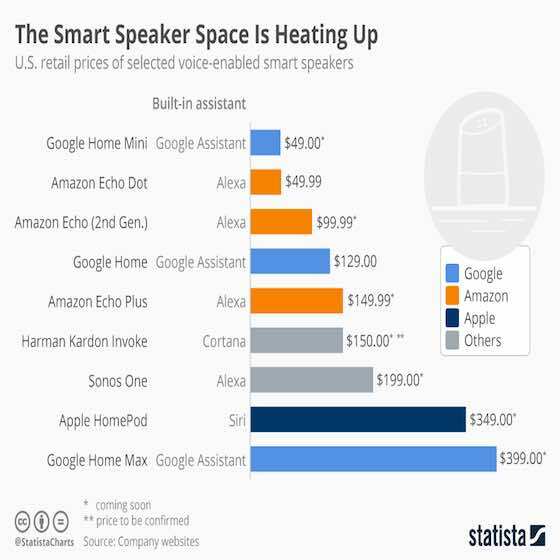 Personal Tech & Gadgets "The Smart Speaker Race Is Heating Up"